Compost vs Mulch: How Do They Compare Between Them? 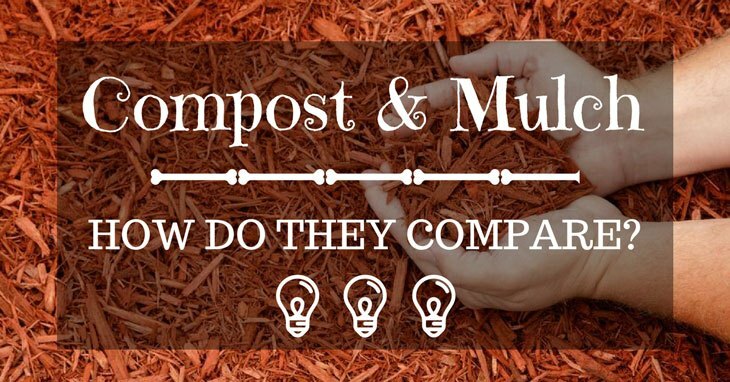 →Compost versus Mulch: How Do They Compare? Mulch and compost are two essential soil conditioners for your garden. They help to keep your plants in top condition. However, people often use these terms interchangeably. Not knowing the difference make result in choosing the wrong one for your garden. So, what’s the difference between compost and mulch? Well, this article will go into detail explaining exactly what mulch and compost are. It will also cover the various ways that you can use them in your garden and how they can benefit you and your garden. How are compost and mulch used? Compost describes the material obtained after decomposition of organic matter. Make compost by piling up organic matter in large bins or containers. Then, allow it to decompose for a given duration. Fully decomposed compost is usually dark brown colored. It also produces a mild, pleasant smell. Mulch is the layer of organic or inorganic materials spread on top of the soil as a protective cover. 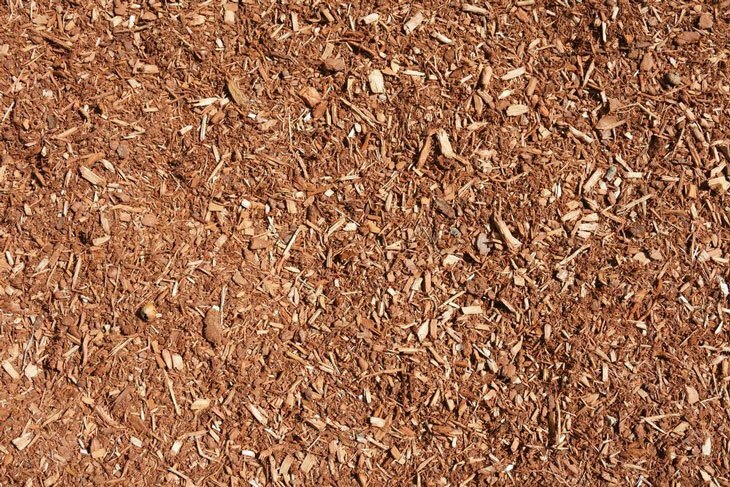 Most organic mulches are made using wood chips, grass clippings, or leaves. Inorganic mulches consist of things such as stones, gravel, landscape fabric, or plastic. The larger the particles used, the longer it will take for the mulch to break down. Compost is usually rich in nutrients necessary for the better growth of your plants. 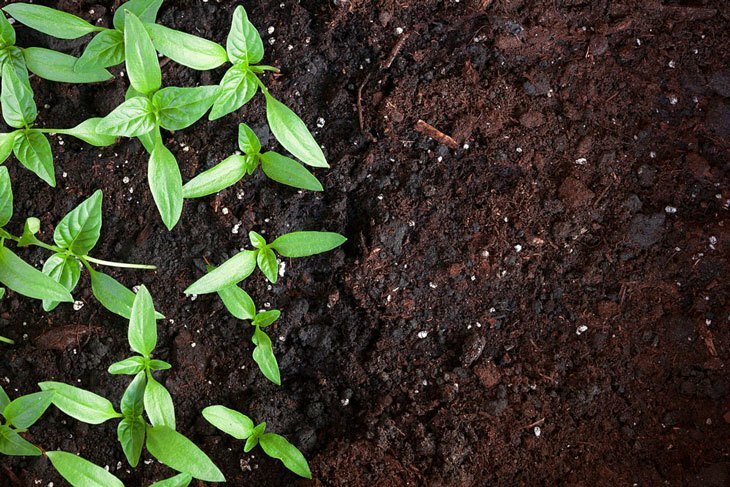 Adding compost beneath the soil's top layer ensures nutrients available for the plants. When preparing for a new planting, you can add some compost to the holes and plant your vegetables or seeds on top. Compost can also be used as mulch by spreading on top of the soil. You can also place next to plants in the ground and worked into the soil by spreading it out using a small garden fork. The perfect time to use compost on your garden bed is usually during late fall. It’s recommended to spread it in layers two inches deep. Place coarse mulch on top of the compost to give young plants a conducive environment for growth. Mulch offers a protective cover to shade out weeds and help in moisture retention. For it to be effective, spread not less than three centimeter thick layers on top of moist soil. For a new garden bed, use mulch sheets to effectively retain moisture and prevent the growth of weeds. Synthetic mulches do not require regular replacements as they don’t decompose. A mixture of soil and compost creates a soil texture that’s ideal for water retention and drainage. This ensures better air circulation for even the heavily clay or overly sand﻿﻿﻿﻿﻿﻿y soils. Compost loosens tightly bound soil particles for young roots to penetrate easily. This also allows roots to easily spread and thus reducing erosion. The use of compost in the garden adds potassium, nitrogen, and phosphorous. Compost leaches other micronutrients like manganese, copper, iron, and zinc into the soil. These micronutrients play a major role in the overall health of the plants. While compost continues to decompose, nutrients are also gradually released into the soil. Compost that includes different ingredients produces a greater variety of nutrients. Compost regulates the soil pH to levels that are ideal for nutrient absorption by plants. It can also attract micro-organisms that facilitate proper aeration of the soil. When used as garden mulch, compost delivers entire benefits of non-organic mulches. It also provides nutrients and little amounts of nitrogen and carbon into the soil. Other benefits include reduced pest infestation as well as suppressing most fungal diseases. It helps to shade out sunlight; ensuring moisture is retained in the soil. This helps in making sure there is ample moisture in the soil for the plants. This further prevents the plants from drying up. Organic mulch can as well add some nutrients to the soil once it breaks down. Thus, if your garden has poor soil fertility, you can still grow plants that are both healthy and strong. Additionally, organic mulch creates the ideal condition for beneficial micro-organisms to thrive. These micro-organisms help to loosen soil particles. This results in improved soil structure as well as better soil aeration. Mulch naturally helps prevent germination and growth of weeds. Eventually, eliminating the many hours and effort spent weeding out your garden. Not only does mulching retain moisture in the soil, but also prevents soil erosion. It reduces the impact of raindrops as they fall on the ground; hence, minimizing soil erosion. Mulch also regulates soil temperatures helping plant root maintain moist in hot-summer areas. During cold winter months, mulch protects plant roots from winter cold. It also prevents plants from pulling out of the ground due to changes in the soil's temperature. This facilitates the growth of plants even in the harsh outdoor conditions. Some mulch types such as cypress, cedar or pine wood chips, helps in keeping away insects. Mulch and compost are essential organic gardening approaches. They can help you improve the structure and fertility of the soil, and eliminate weeds. This then results in the better growth of your plants. Mulch serves as a cover that keeps the soil both warm and moist whereas suppressing the growth of weeds. On the other hand, compost enriches the soil with nutrients. It also attracts micro-organisms to encourage healthy growth of plants. Moreover, compost can also be used as mulch, performing both tasks perfectly. Now that the difference between compost and mulch is clear start a compost pile and a mulch pile at your home. This will ensure that all of your lawn and garden clippings are properly used. Whether you decide on using compost or mulch, it is completely natural and economical. You don’t have to spend on herbicides, fertilizers, pesticides, and garbage pickup. Compost and mulch are better than synthetic fertilizers filled with harmful chemicals. Did you find this guide useful? Please share with us your thoughts through our comment section.